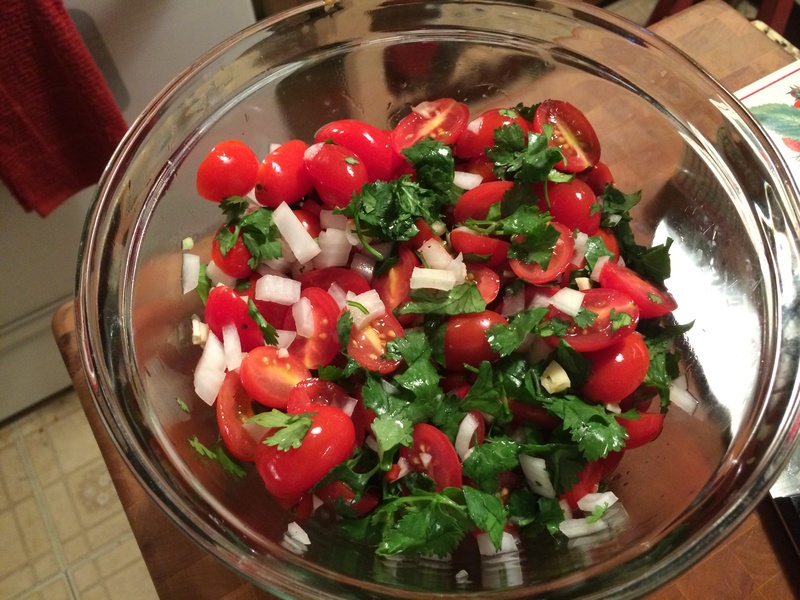 I started by making a fresh tomato salsa for the topping. I just diced some tomatoes, red onion, a minced Fresno chili pepper, 2 minced garlic cloves, chopped fresh cilantro, fresh lime juice, and kosher salt and pepper. Tossed the salsa together and chilled it in the frig until I was ready to top the tacos. 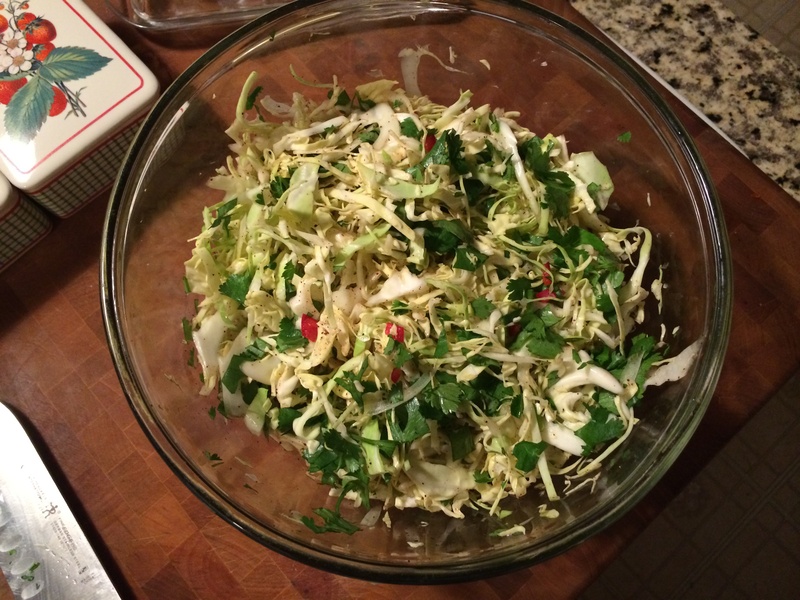 I also made a chili lime slaw to put on the tacos, For that, I thinly sliced some cabbage and placed that in a large bowl. Then in a smaller bowl, I put 1 freshly squeezed lime juice, Agave nectar, chili powder, minced Fresno chili, and kosher salt and pepper. I mixed this up well but did not toss it with the cabbage until the slaw was set to go on to the tacos. Now for the fish. 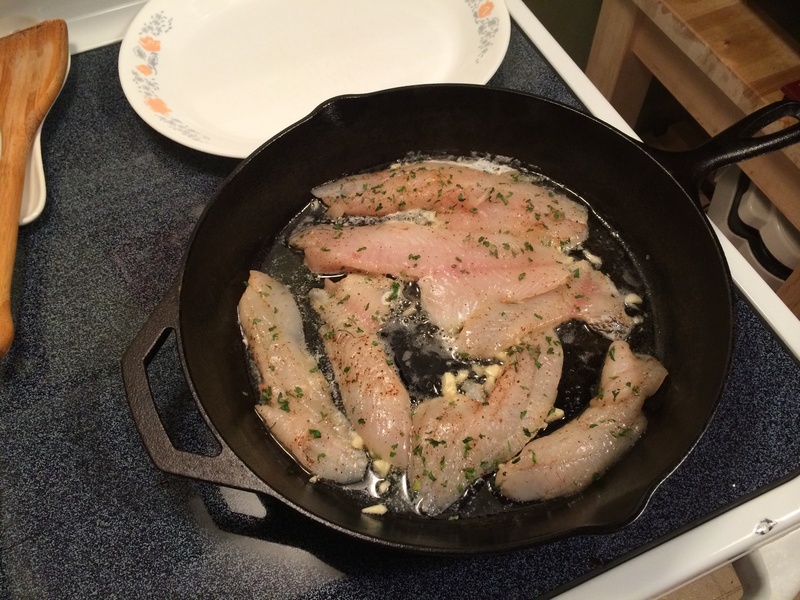 Steve just filleted them for me, so I got out my cast iron skillet melted some unsalted butter in the pan. 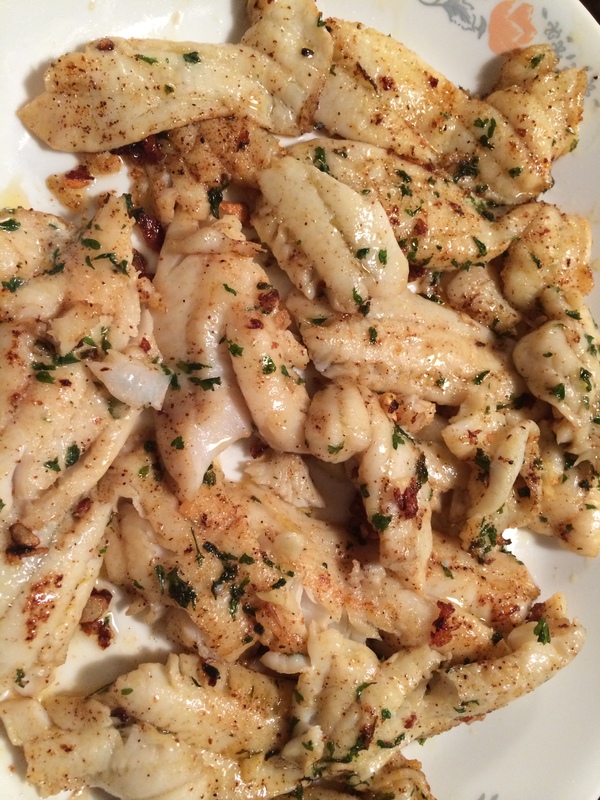 I seasoned the fish simply with some chili powder, kosher salt, and pepper. I then added 4 whole garlic cloves and added that to the melted butter on low heat so not to burn the garlic. After the butter was infused with garlic, I took the garlic cloves out turned the heat up and sauteed the fish fillets in the garlic butter. 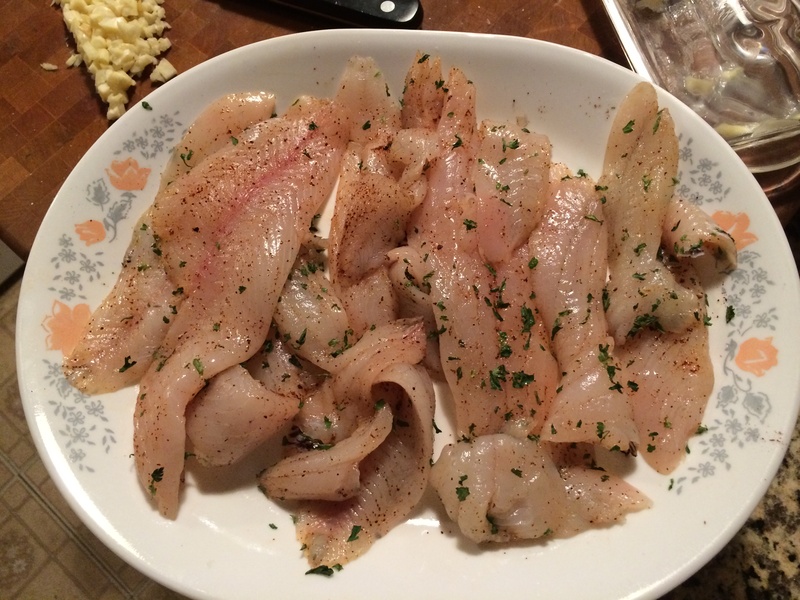 The fish fillets took no time to cook, so once they got that beautiful color on both sides, I then minced the garlic up and tossed them back in with the fish with some fresh chopped cilantro and a squeeze of fresh lime juice. 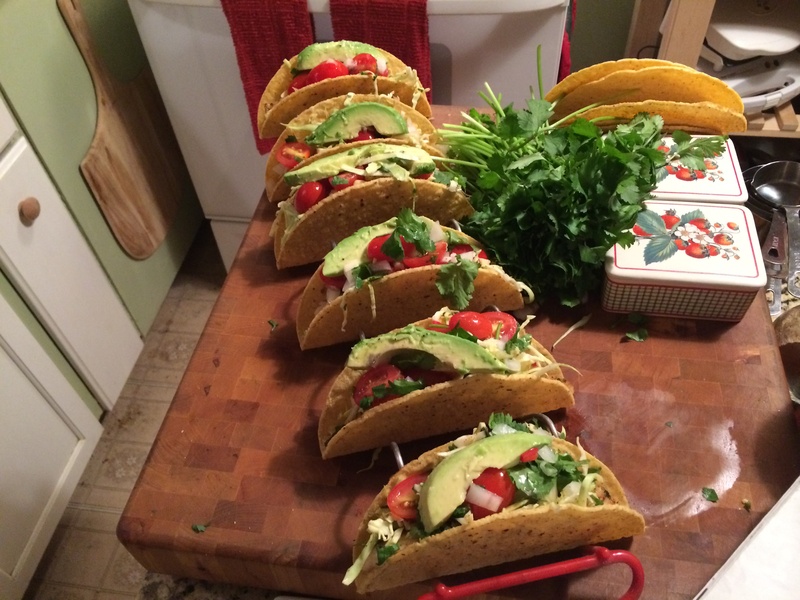 Oh, you can’t have a fish taco without some avocado that just wouldn’t be right.